This is a great question considering that there are hundreds of dental implants manufacturers worldwide, most of which will not be in business for long time. They attract dentists with smaller fees than the reputable companies and then they disapear. If something goes wrong and needs to be repaired, there are no parts to be found. 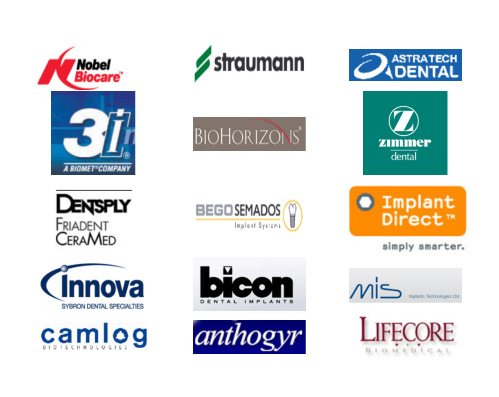 The list shows the top 15 major players on the dental implant market in US. This is why is always good to use a reputable implant company with a long history, research based products, innovations, etc… This kind of implant manufacturer is always going to be around, give warranty for their products and fabricate parts even for discontinued implants. The implants that we use are manufactured by Nobel Biocare. It is the oldest implant company since the discovery of osseointegration( fusing of the titanium implants to the bone). If you have any questions about dental implants, please call my office Sewell Dental Arts, located in Washington Township NJ for a free consultation. I’ll be happy to meet you and answer all your questions.